Search engine optimization SEO has its own complexities. While the concept behind it may be simple, putting it into action can be a challenge. Glenn Mark Dizon, one of the best on-page SEOs on the web, wants to make it easier to put SEO into practice. 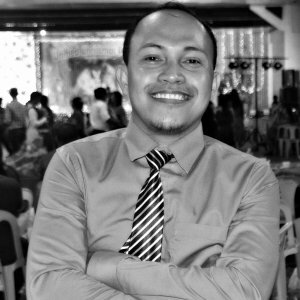 Because of this, he started an online community on Facebook called Search Engine Optimization Philippines. The group is specially created to cater information about blogging, SEO, and SEM. Based in Surigao, Philippines, Glenn has completed over 400 successful projects. He’s been in the industry for seven years, helping people develop profitable digital homes for their businesses. To his clients, Glenn is a fantastic professional. A man with an excellent work effort who’s always ready to go an extra mile to deliver amazing results To his community, he is known as a selfless SEO teacher who willingly shares his knowledge and expertise on the subject. Check out our interview with the SEO champ. Glenn: I do on-page SEO for local business websites. I help increase the chances of these websites to land on the front page of Google. I fix problems that could potentially make their websites bleed money day in and day out. Glenn: I stumbled into freelancing by accident. I previously worked as a legal researcher for our municipality and my research led me to SEO. Glenn: It’s being able to help other SEO wannabes and being able to work anywhere. If I never had the chance to learn what I have learned in the past 7 years of my freelancing career, I wouldn’t be able to teach. I wouldn’t be able to share what I learned from my hands-on experience in ranking websites. Glenn: My biggest challenge was when I finally decided to stop working for a long-time client so I can focus on my on-page SEO business and my SEO group. I really had shivers back then when I think about all the “what ifs”. I just continued to nurture the hope inside my heart and I am so glad God answered my prayers. Glenn: It’s certainly my deep desire to help others learn my craft. When I started teaching SEO, my wife asked me the reason why I need to do it. She was apprehensive, saying that they may compete with me. I told her that SEO is about networking with like-minded individuals. The more you expand your network, the more success you get. Glenn: It’s the inability of many freelancers to know their true worth to their clients. Filipinos sometimes undercharge themselves. They lower their hourly rate fearing that if charge a little bit higher, they may not land on the job. In effect, they are giving their clients some form of a disservice because they still need to work extra hours on other jobs. They do it to have enough money to sustain the needs of their families. I am part of these types of freelancers. Glenn: To be honest, there’s none. Glenn: Filipinos are hardworking and resilient. When employed, Filipinos always try to ask their own selves what value they can bring to the table. They put so much work on each task. Also, they always strive to learn everything that’s necessary to thrive in their chosen field. Glenn: Don’t worry too much about features but rather focus on benefits. In our attempt to become competitive in the freelancing world, we tend to master everything. We try to learn WordPress, email marketing, copywriting, SEO, social media, etc. But these are only features. We should rather concentrate on how we can bring more ROI to our clients. If you’re a copywriter, write that content with conversion in mind. If you’re a web designer, you should create a website that will become a profitable digital home for your client’s business. And if you’re an SEO, you should not only make your client rank on the front page of search results, but you should also teach him how he can convert leads into sales. Get in contact with Glenn by visiting his website here.